Peak Seasons - love them or hate them? Masai Mara in July / August: Up to 100 safari vehicles have been known to congregate at one sighting in the Masai Mara during July and August. The reason? 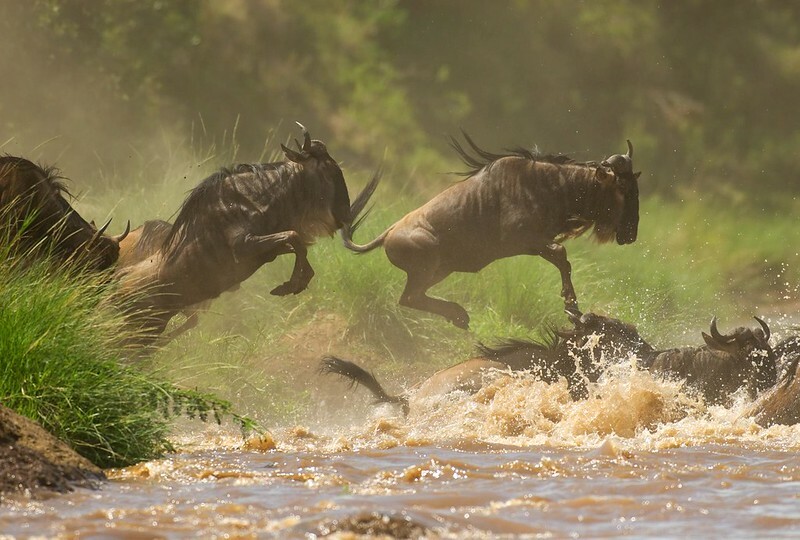 The annual migration when vast herds of wildebeest congregate within a relatively small space and dice with death as they attempt to cross the Mara River. It is an incredible spectacle and well worth a visit, however, there is more to safari than sheer numbers and the Mara is magnifcent year round. If you do want to take in the migration then you need to know that it will mean long days sitting and waiting by the Mara River waiting for an elusive crossing to play out. Our favourite recommendation for those keen to witness this spectacle is Entim Camp which has a spot on position in a private spot on the banks of the Mara river. Christmas and New Year coincide with the height of summer in the Cape when South Africans from Johannesburg and overseas migrate en masse to the Cape. We usually recommend clients avoid this period unless it is the only time of the year they can possibly make work. Stuck with the School Holidays? 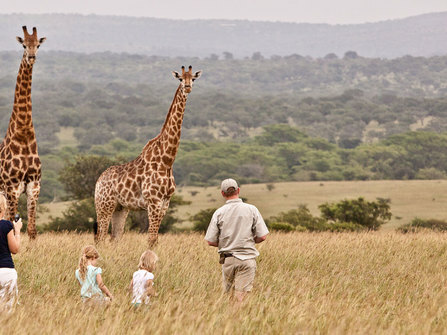 February Half Term: Kenya, Tanzania or South Africa's Cape and Garden Route areas. In Southern Africa the summer season is coming to a close but there is still usually good weather even in the Southern most areas of the Cape. Eastern Africa is usually avoided due to the long rains, however we have managed to source some incredible value safaris for families in Kenya and Tanzania during the May Half Term, and the rains, although daily, do usually clear up for some sunshine each day. Come July, Kenya's Masai Mara plays host to arguably the most spectacular wildlife event of the year, the annual migration of massive herds of wildebeest, zebra and accompanying predators. This is also one of the best times of the year to be in the Kruger and KwaZulu-Natal regions of South Africa. The Cape region of South Africa is in winter, with Cape Town in particular buffeted by strong wind and rain. Again, with only a week to play with it pays to choose carefully. Although it is heading towards the short rains in Kenya and Tanzania, these usually involve only a very short period of rain each day and are not worth worrying about. Southern Africa all works well at this time of the year. Christmas and New Year brings optimal weather, but peak prices and crowds to Cape Town and the Garden Route and much of East Africa. Still if you want to get away for something special at Christmas it is hard to beat a safari and beach combination. The rains of the green season put many people off, but for those whoare willing to adapt, the green season offers significant discounts. During the green season in Bots, Zambia, Kenya and Tanzania, expect to get between 30 and 70% off the standard peak rates for higher end camps and lodges. The rain tends to fall in heavy bursts that clear quickly to leave plenty of the day left to be out on Safari.